The results of the European elections were in last night and it was UKIP who won, narrowly beating Labour to gain three MEP'S in the European Parliament. Labour doubled its representation from one to two, while the Tories clinched the other seat, down from the two it won last time around. 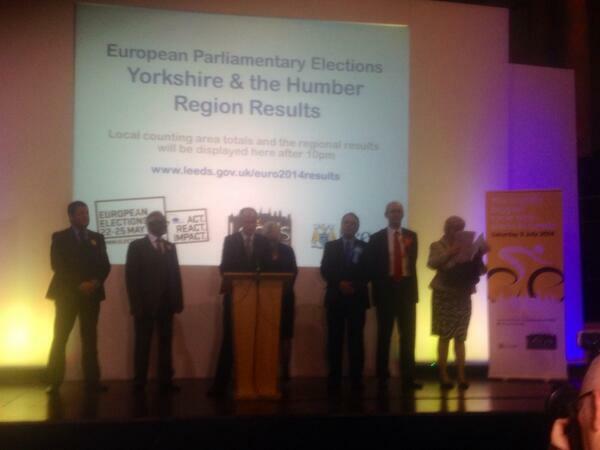 It was also a devasting night for the Lib Dems both locally and nationally as they finished behind the Greens. UKIP's MEPs are Amjad Bashir, Jane Collins, and Mike Hookem. Labour's Linda McAvan has been reelected and Labour's second MEP is Richard Corbett, who served between 1996 and 2009. Conservative Timothy Kirkhope was the final MEP to be elected. May Barton of Hambleton said she was delighted with the result as the London centric government as lost touch with the British Public,'' I hope the mainstream parties now wake up, this has been a long time coming''. 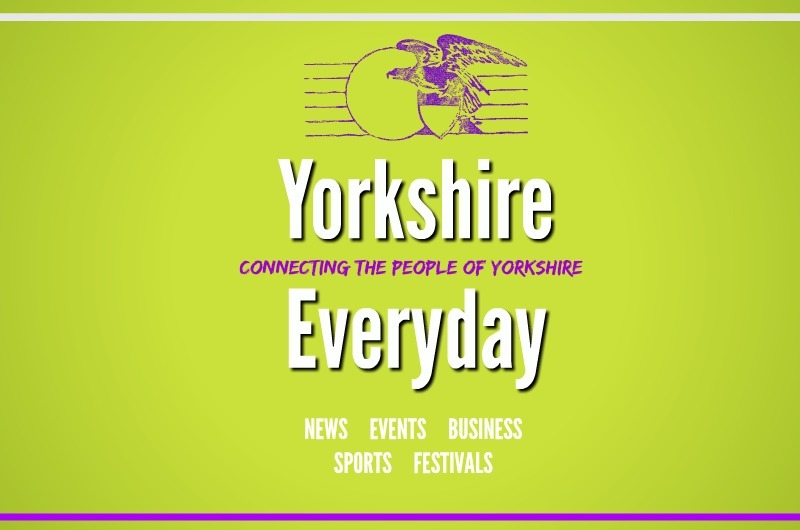 Ken Pembleton a former raf commander from Brigg told Selby Everyday, that is it a shame UKIP have made such gains when this country fought off facism, many of its members are former BNP and EDL members. The electorate does not realise that UKIP are ranked bottom out of 76 parties in the EU for attendance to crucial debates and votes. ''So we have basically elected a group of MEP's who are set to not attend the EU parliament and not put a voice across for the British People, former MEPs have opted against equal rights and equal pay. The electorate needs to wake up. They will not be able to offer a referendum on Europe, to form a government you need 326 Mps and they are projected to get non in next years general election. Despite Ukip's rise in votes a recent report by Tory Lord Ashcroft predicts a win at the general election for the Labour Party whose study into regional and marginal constituencies between the Tories and Labour, sees Labour as pushing ahead to gain crucial seats they will need to secure a majority. Labour had a successful round of council elections gaining 338 councillors whilst the Conservatives lost 228. The Labour Party oversaw their best results in London councils since 1972, Labour now control 21 councils even David Cameron's favourite council Hammersmith and Fulham, other keys seats were gained in Tory heartlands including Cambridgeshire, Warwick, Ipswich, Weymouth, Nuneaton. However UKIP gained many seats across the North despite Labour winning in Sunderland, Barnsley, Doncaster, Manchester and Liverpool. The Liberal Democrats are set to lose several MPs at the general election however previous experience does show that the Liberal Democrats will still hold a core vote at a general election in Key constituencies such as Eastleigh were their vote share increased in the local council elections. The greens are progressing rapidly with their amount of councillors doubled in the council elections. Ukips rise across the UK is in line with other far right results across Europe. France and Greece saw a large percentage increase in the far right gaining MEPs. However this is less so in some of the newest members of Europe for example Croatia which saw the decline in its share of the vote for the far right. Germanys far right also made little progress. Ukip have certainly changed the political spectrum in the United Kingdom for the foreseeable future, it is now in the hands of the political elite at Westminster to take note, after all many people have spoken out across the country. However overall one does need to take into account that this vote nationally is only 10% of the electorate and many previous studies would suggest that voters tend to float back to mainstream political parties come general elections, especially the main governing party.